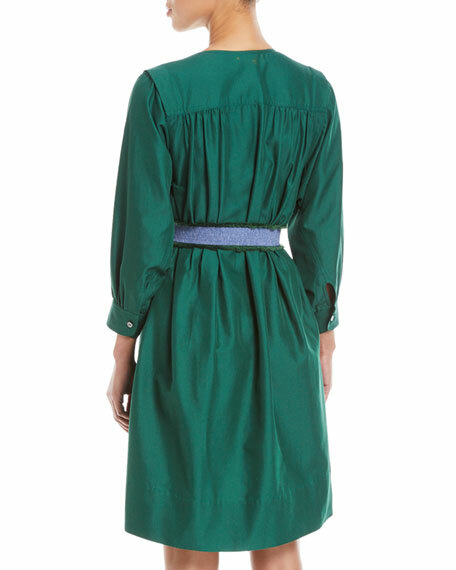 Derek Lam sateen cotton dress. Contrast belt with golden buckle and frayed edges. For in-store inquiries, use sku #2467783.